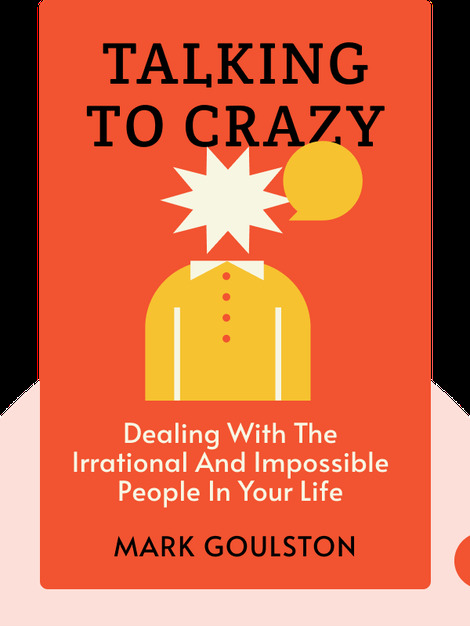 Talking to Crazy (2015) acknowledges that each person has the potential to be a little crazy, giving into irrational behavior when the mood strikes. These blinks offer sound advice on how to empathize and communicate with a person in “crazy mode” so you can keep yourself from going off the deep end, too. 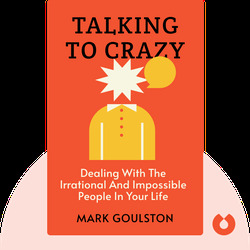 Mark Goulston is a psychiatrist, business advisor and coach. He’s also the author of the bestselling books, Just Listen and Get Out of Your Own Way.